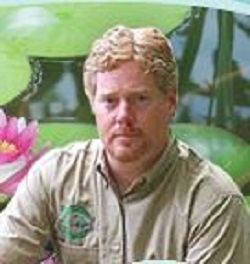 New Jersey Koi Pond and Water Garden repairs can be made easy for the NJ pond owner. No longer do issues like pond leaking, broken pipes, pond pump problems, structural issues in ponds and water gardens have to end your pond and water garden enjoyment. Professional pond repair services for New Jersey are made easy by contacting your local pond professional contractor for services. Full Service Aquatics of Summit, NJ provides pond repair services of every type for pond owners in Union County NJ, ponds in Morris County NJ, koi ponds in Essex County NJ, water features in Middlesex County NJ, water gardens in Somerset County NJ, waterfalls in Hunterdon County NJ, and water features of every type for Warren County NJ.Our pond and water garden repair services are fast and easy with guaranteed solutions for every type of pond and water garden issue you may be experiencing. The Full Service Aquatics team of veteran pond technicians will handle your pond repairs professionally and affordably. The repair process begins with a site visit to your koi pond, water garden, or water feature for our on-site assessment from a Full Service Aquatics pond pro. Very often pond and water garden repair issues can be handled within a single service call. More complex pond and water garden repairs are not a problem, let Full Service Aquatics provide all the equipment and know how necessary for any size project repair. 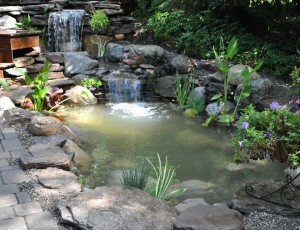 Whether it is a small backyard water garden pond or a large scale commercial water feature our 20+ years of experience can fix your pond problems and have your water feature fully functional and looking beautiful. CLICK HERE TO CONTACT FULL SERVICE AQUATICS FOR POND REPAIRS! Give the pond professional of Full Service Aquatics a call today at 908.277.6000. Full Service Aquatics is proud to offer pond services for the state of New Jersey and parts of New York and Pennsylvania. Let Full Service Aquatics repair your pond today!